What sort of car does a speed-demon drag racer drive day-in and day-out? When Toymaker David Ankin offers to build her a “daily driver”, extreme drag racer Sarah Edwards eagerly takes him up on his offer, insisting on American muscle. David and the team modify the paint scheme, upgrade the hood, change up the stance with KW Suspension and Triumph Performance Wheels and add some serious rumble with new Magnaflow exhaust. The final product is a sight to be seen! Catch Sarah Edwards on ToyMakerz on HISTORY Sunday April 14th (9amE/8C) and again on FYI Saturday April 20th at 10pm! See how she reacts to her new signature daily driver and whether or not she can throw down a ToyMakerz-level burnout! Sarah began to dream of drag racing when she was only 12 years old when her family traveled to Raceway Park in NJ and she saw Hanna Motorsports Queen of Diamonds blaze down the quarter mile at 300 MPH and then met, Jessie Harris, the face beneath the helmet. 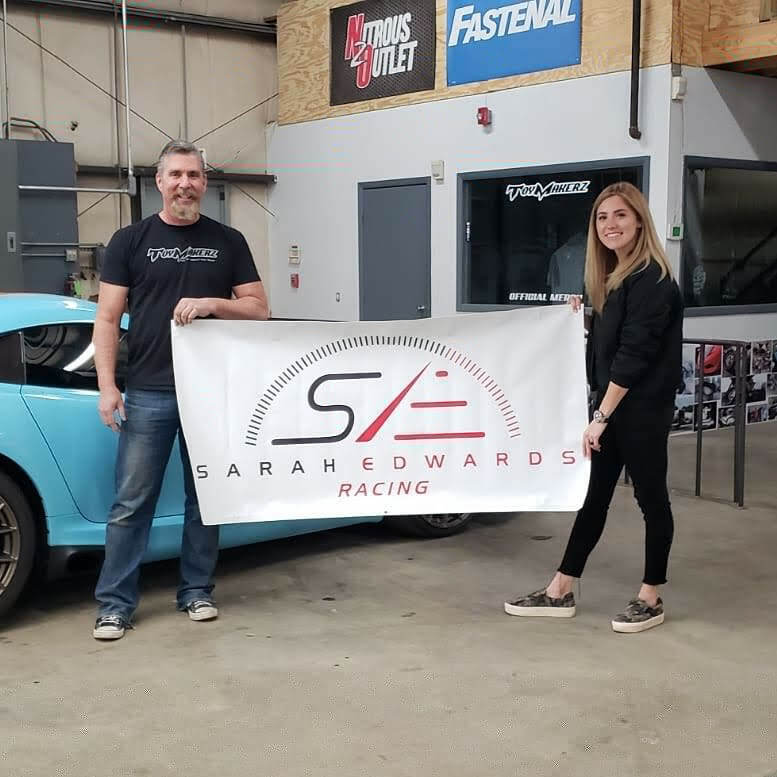 Supported by her family and boyfriend Stephen, Sarah graduated high school and dedicated her life to learning the art of racing. 12 years later, at the tender age of 24, 2016 Sarah joined the Hanna Motorsports team as the driver of Queen of Diamonds II, and won just about 90% of her 300MPH match races over the course of three years. 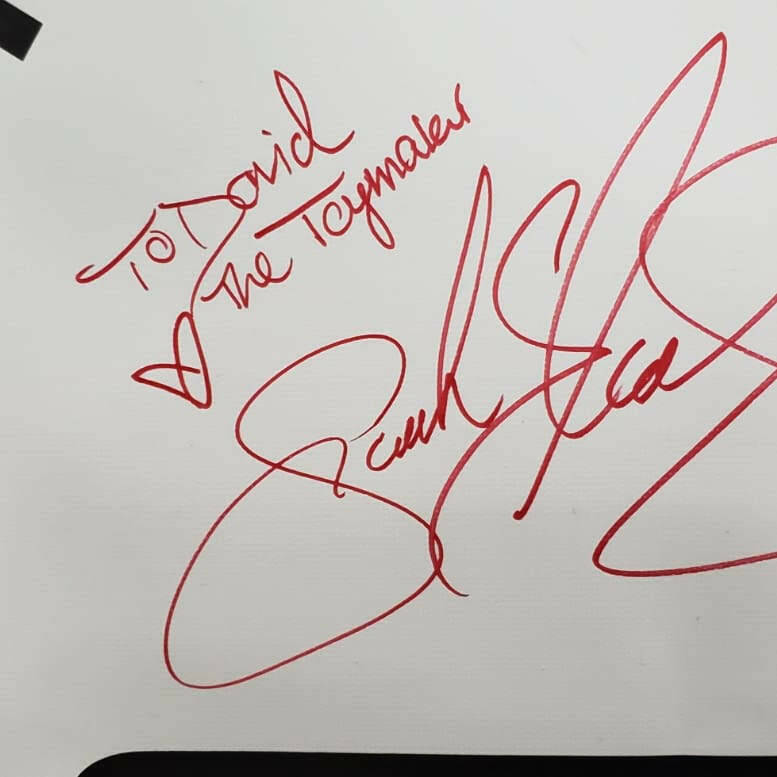 Sarah still holds multiple track records and earned a spot on Drag Illustrated’s famous 30 Under 30 list in 2016.